The survey will require less than 5 minutes of your time. The survey will cover four areas: Demographics, Pay, Benefits, Job Satisfaction. The survey covers pilot related positions to include: Technician (non A&P), Line Mechanic, Lead Mechanic, Avionics Technician, Quality Control, Assist. DOM, Director of Maintenance. The high-level data will be tabulated and presented in the May/June 2019 Mechanic Salary Survey issue of Rotorcraft Pro Magazine. 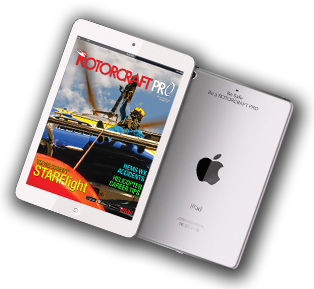 THE GRAND PRIZE - In exchange for your valuable time, once the survey is completed, you will instantly become eligible to win a custom engraved Rotorcraft Pro iPad Mini tablet. Drawing will take place on June 30, 2019.